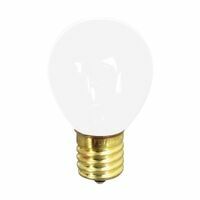 Feit Electric Incandescent Lamp, Dimmable, BP25A15/CL Designation, 25 W, 120 V, Arbitrary Bulb, Medium Screw (E26) Base, A15 Shape, 2500 hr Average Life, 2700 K Color Temperature, Clear Lamp, 1-7/8 in Diameter, 3-1/2 in Length, For Appliances Safety circuit, use in chandeliers, wall sconces and postlights. 1,500 average life hours. Safety circuit, use in chandeliers, wall sconces and postlights. 1,500 average life hours. 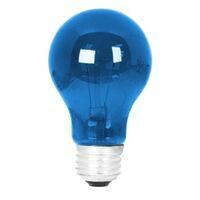 Brass base resists vibration and corrosion. 2,000 average life hours. 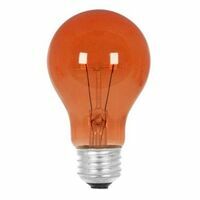 Feit Electric Incandescent Lamp, Dimmable, BP40S11N/IF Designation, 40 W, 120 V, Straight-Sided Bulb, Intermediate (E17) Base, S11N Shape, 1500 hr Average Life, 2700 K Color Temperature, Frost Lamp, 1-3/8 in Diameter, 2-1/4 in Length, For Appliances and Fixtures CRI 100, 2850K color temperature, 7/8" diameter. 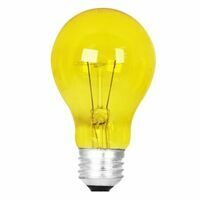 C-9 filament, 2 1/8" maximum overall length. 3000 average life hours. 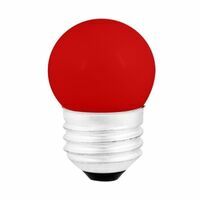 120 volts. Feit Electric Incandescent Lamp, Dimmable, BP15T7DC/RP Designation, 15 W, 120 V, Tubular Bulb, DC Bayonet Base, T7 Shape, 1500 hr Average Life, 2700 K Color Temperature, Clear Lamp, 7/8 in Diameter, 1-7/8 in Length, For Appliances and Signs Feit Electric Incandescent Lamp, BPLV510 Designation, 18 W, 12 V, Tubular Bulb, SC Bayonet Base, T5 Shape, 1000 hr Average Life, 2700 K Color Temperature, Clear Lamp, 1.5 in Length, For Landscape Lighting Crisper and whiter light source. 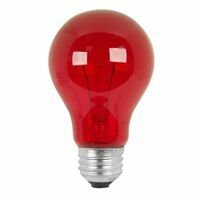 3-way, 50-100-150 watts, 120 volt for mood, general and task lighting. 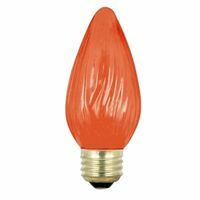 Bulb can be used in any position. 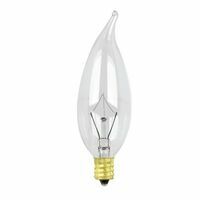 Feit Electric Incandescent Lamp, Dimmable, BP40F15/A Designation, 40 W, 120 V, Flame Tip Bulb, Medium Screw (E26) Base, Flame Tip Shape, 2000 hr Average Life, 2700 K Color Temperature, Amber Lamp, 4-1/2 in Length, For Chandelier and Decorative Indoor use. Maximum overall length 5.313". 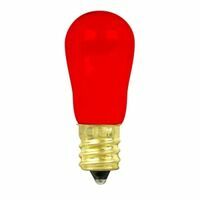 Bulb can be used in any position. 120 volts. 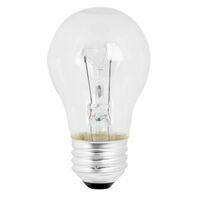 Incandescent, medium aluminum base, clear bulb. 3880 lumens, 100 CRI, 2850K. Maximun overall length is 5.313". 120 volt. 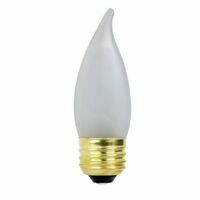 Ceiling fan bulb, A15 shape, E12 Candelabra base. 3.5" overall length, 2,500 average life hours. Heavy-duty multi-filament support to resist vibration. 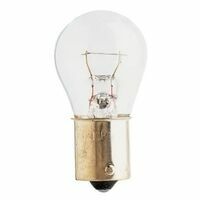 Ceiling fan bulb, A15 shape, E12 Candelabra base. 3.5" overall length, 2,500 average life hours. Heavy-duty multi-filament support to resist vibration.